This children’s picture book was created by Roz Hopkins and Natalie Winter, illustrated by Cara King and published by Captain Honey (2015). Phoebe wonders why her mummies aren’t married. When she is told that they’d like to, but You-Know-Who won’t come to the party, Phoebe is undeterred. With her trusty sidekick, Biscuit the cat, she plans a big surprise wedding for her mummies. Soon, the whole town is in on it and they are all coming along. But what about You-Know-Who. Will they ruin the surprise or make the day? Hopkins and Winter have kept the story simple and I believe succeeded in allowing kids to take in as much or little as they need of the fraught question of marriage equality by letting parents and teachers answer questions that may or may not arise. I suspect younger kids will accept the wedding matter-of-factly, and wish to know more about the unicorn or the elephant who somehow join the celebration! King has illustrated the book in gentle yet vibrant colours and with more than a hint of whimsy. Kids will love all the subtext details supplied by the illustrator, and I think adults will chuckle over many of the cartoon-style characters. 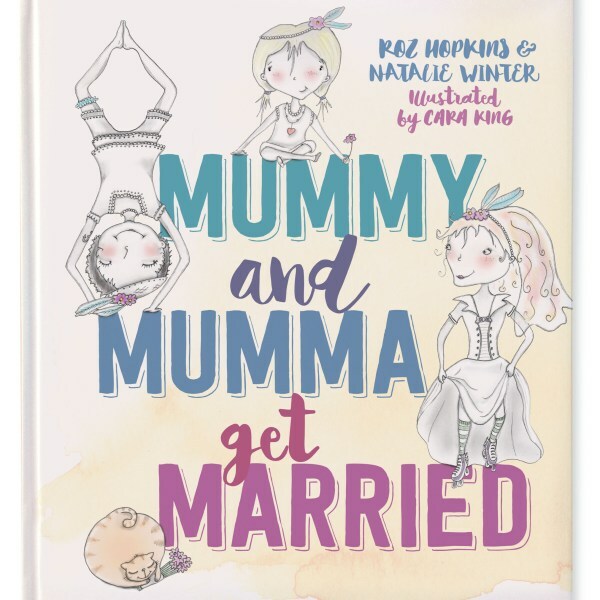 There are excellent teacher notes to accompany the book, with activities and discussion prompts to have kids think about weddings and marriages, and who should decide when someone wants to marry.